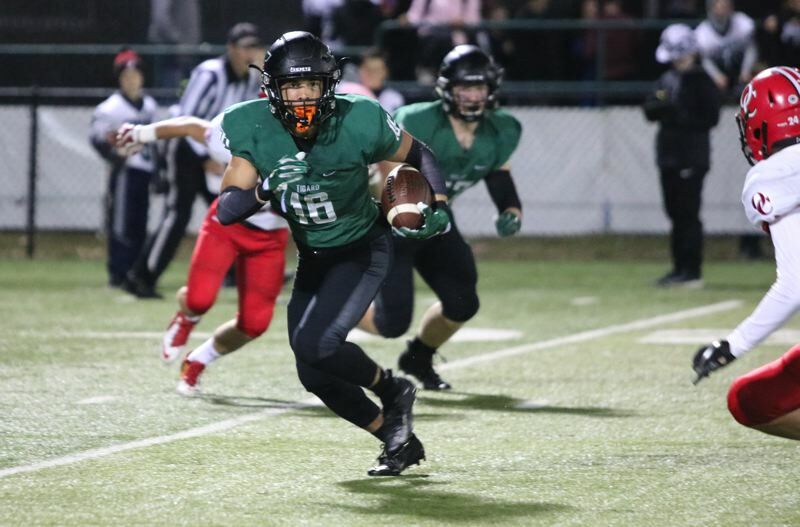 TIGARD — The Tigard Tigers had another game in which almost everything that could go their way on the football field, did go their way Friday night. This time, the Oregon City Pioneers were on the receiving end. Tigard sophomore quarterback Drew Carter passed for 276 yards and four touchdowns and senior running back Malcolm Stockdale rushed for 257 yards and three scores, pacing the No. 4-ranked Tigers to a 62-27 home win over the Pioneers in a Three Rivers League game played at Tigard High School. Senior Fletcher Ahl, senior Noah Jackman, junior Max Lenzy, and senior Luke Ness were each on the receiving end of touchdown passes from Carter, and sophomore Spencer Kuffel and junior Johnny Nomani also found the end zone for the Tigers, who improved to 6-0 overall and 2-0 in Three Rivers League play. Oregon City's Zakayas Dennis-Lee returned the game's opening kickoff 96 yards for a touchdown, but then the Pioneers (2-4, 0-3) weren't heard from again until midway through the second quarter and the Tigers had opened a commanding 28-6 lead. 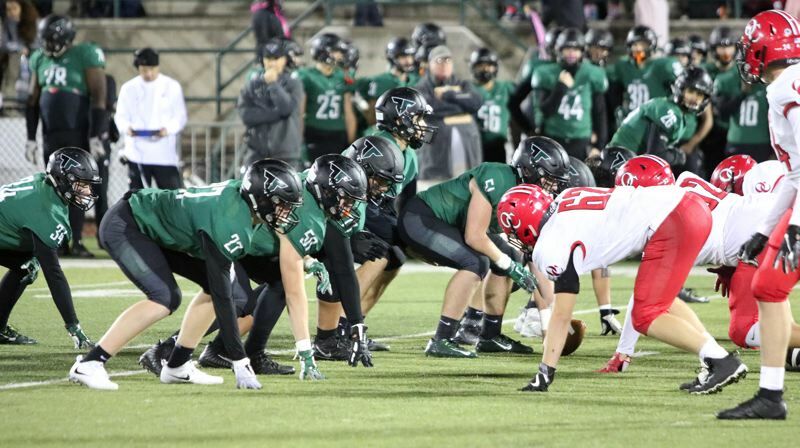 Tigard finished with 590 yards total offense and the 62 points were a season high, surpassing the previous high of 58 against both Barlow and Sprague. "It was a blast," said Carter, who completed 11 of 15 passes. "We played Tigard football, everyone did their job, and it was a good game. Hats off to Oregon City. They're a tough team." Not as tough as the Tigers, who scored on their first five possessions of the first half, their first three possessions of the second half, and once on defense. The Tigers did not punt once, and they had only two empty drives — one at the end of the first half when their placekicker missed a 39-yard field goal into the wind, the other in the fourth quarter when Stockdale lost a fumble on first-and-goal from the Oregon City 5-yard line. "I thought we played a good football game," Tigers coach Craig Ruecker said. "We knew that Oregon City had some playmakers that were going to make plays, but overall our defense was pretty good. "Offensively, I thought we were very well-balanced. We ran the ball inside, ran the ball outside, and threw to multiple receivers. I was proud of our kids." This is a Tigard team that has scored more points (312) than any other 6A team in the state and is winning by an average margin of 35.8 points a game. "We knew we had talent, but sometimes talent doesn't make a football team," Ruecker said. "The key to our team is how well these guys work for each other, how hard they practice, and how hard they play. "They don't play every other play or five out of every six plays. They play 10 out of 10 plays. And when you play hard every play, good things happen." When did the Pioneers know they were in trouble in Friday's game? If Tigard's first three touchdown drives didn't tell them something, then it had to be when Stockdale fumbled on first-and-goal from the Oregon City 6-yard line and Nomani, the Tigers' 6-foot-3, 265-pound lineman, came up with the loose ball in the end zone to make it 28-6 with 8 minutes and 25 seconds left to play in the second quarter. Or maybe it was when Carter hit a streaking Lenzy on a 68-yard touchdown strike that made it 35-13 with 6:53 remaining in the second quarter. Or maybe it was when Kuffel intercepted a pass intended for Oregon City's Crocifisso Chianello and returned it 37 yards for the touchdown that pushed the Tigers' lead to 42-13 with 3:45 to play in the half. Regardless of when reality set it, the night belonged to the Tigers and there wasn't much that the Pioneers could do about it. 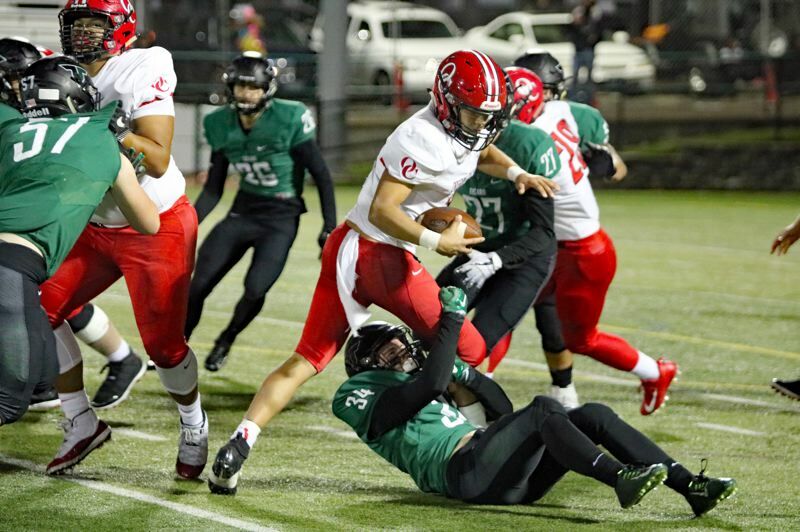 "Tigard is a very good football team, extremely well-coached, just like every other team in our league," Oregon City coach Dustin Janz said. "We were in a different conference for four years and played two really tough teams in that conference, not six tough teams like we have now." 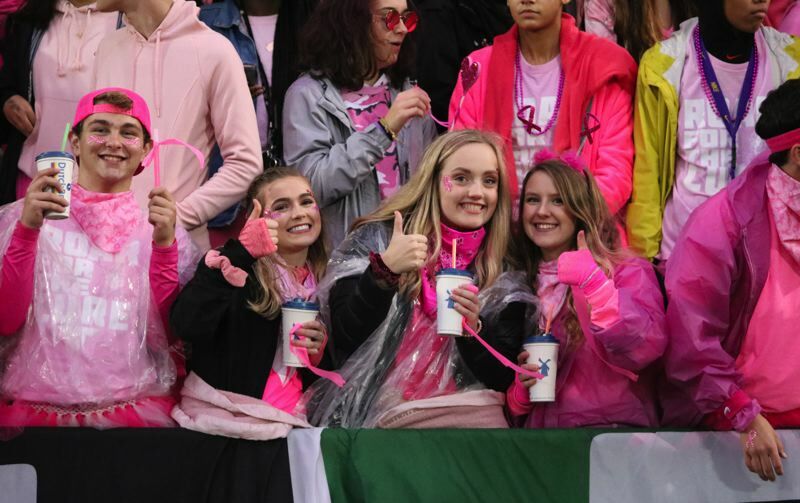 After Dennis-Lee's kickoff return for a touchdown, the Pioneers' other scoring plays were a 65-yard run by Dennis-Lee that cut Tigard's lead to 28-13 in the second quarter, a 2-yard run by quarterback Colby Iverson that made it 42-20 with 42 seconds left in the first half, and an 8-yard run by Iverson that made it 62-27 with 9:39 remaining in the game. 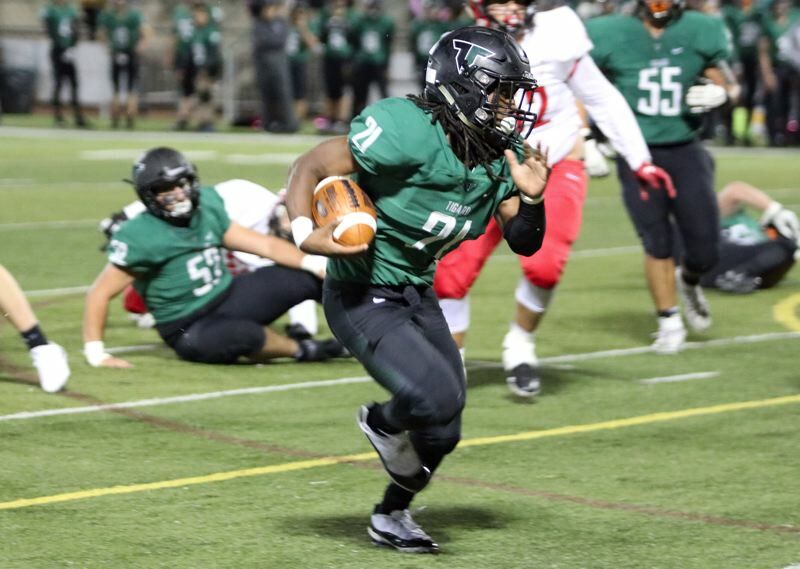 Tigard, following Dennis-Lee's touchdown, responded with three straight first-quarter scoring drives. Stockdale started the scoring for the Tigers with a 3-yard TD run. Carter then hooked up with Ahl for a 40-yard touchdown pass play. Carter then threw a 12-yard touchdown pass to Jackman, giving Tigard a 21-6 lead at the end of the opening period. 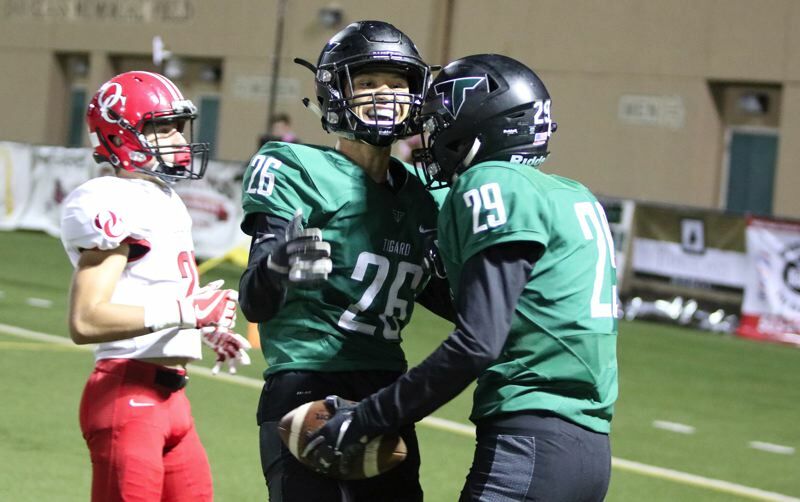 Stockdale added two touchdown runs in the third quarter, and Carter threw a 36-yard scoring pass to Ness later in the period, capping off the scoring for Tigard in its 62-27 victory. Stockdale picked up his 257 rushing yards on 34 carries. Junior Josh Burns added 45 yards on five carries. Ahl led Tigard's receiving corps with four catches for 113 yards. Ness had three receptions for 66 yards. For the Tigard defense, senior Mitchell Cross had 13 total tackles. Seniors Carter Dennis and Isaia Porter and junior Brayden Zolkoske each had a quarterback sack. Cross and junior Cole Scott combines on another sack. For Oregon City, Iverson completed 7 of 14 passes for 105 yards with one interception, and also had 14 carries for 31 yards, while Dennis-Lee had 13 carries for 103 yards. Tigard will be back in action on Friday, when it hosts Lakeridge in a Three Rivers League game starting at 7 p.m. It will be the Tigers' final regular season home game of the season.